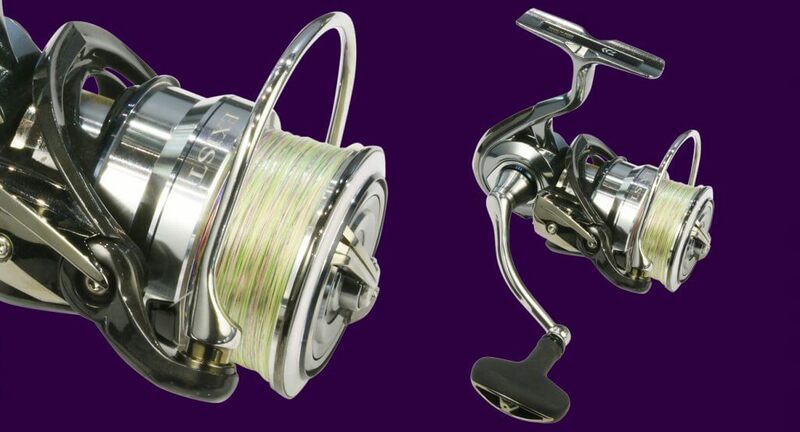 Celebrating 60 years of innovation isn’t easy, and that’s why Daiwa held nothing back in creating the new 18Exist LT. The flagship model, the Exist, has personified excellence throughout Daiwa’s history, and now the new 18Exist LT, which stands for Light and Tough, introduces even more ground-breaking technology, and it was the 3000 CXH that was recognised for innovation at the AFTA show. Monocoque body also debuts in the 18Exist LT for the first time through the entire size range. Monocoque body is a truly one-piece frame with no side plate. Instead, the side plate is replaced by the main drive gear housing, which screws into the body allowing for maximum gear diameter and ultimate rigidity. You will find the brand-new Machine Cut Tough Digigear inside the new 18Exist LT is up to 109% larger than non-monocoque reels. The 18Exist LT’s monocoque body is Daiwa’s most advanced body they’ve ever developed, and they’re available from 1000 to 4000 sizes. Join the tacklejunkie email list.